The Gujarat High Court Advocates Association has filed an application before the Supreme Court seeking intervention in the Case- Mahipal Singh Rana v. State of Uttar Pradesh in which the Supreme Court had directed the Government and Law Commission of India to take immediate steps to review the provisions of Advocates Act, 1961. The Petitioner submitted that the directions given by the Supreme Court of India which is in the nature of issuing mandamus to make and/or enact a particular legislation is without jurisdiction and contrary to the doctrine of separation of power which is part of the basic structure of the Constitution of India. The High Court Advocates Association president Advocate Asim Pandya told LiveLaw that the implementation of the directions issued by Supreme Court in Mahipal Case shall blur the lines of separation of power, which is a much celebrated concept for our Constitution. 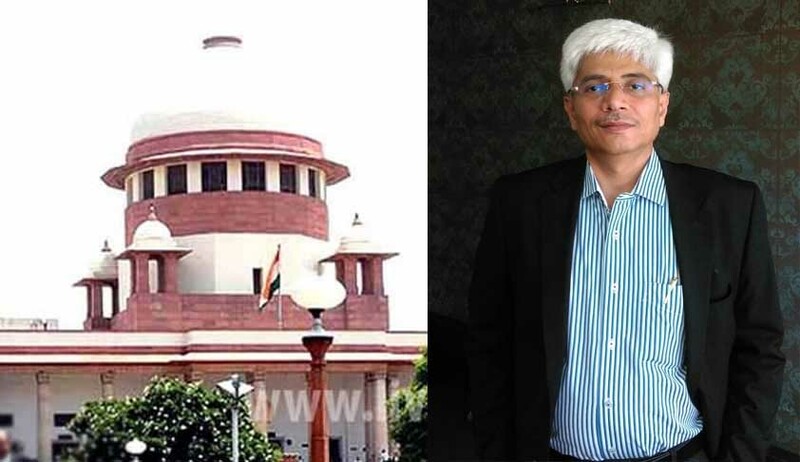 In Mahipal Singh Rana, the three Judge Bench comprising of Justices Anil R. Dave, Kurian Joseph and Adarsh Kumar Goel held that there appears to be urgent need to review the provisions of the Advocates Act dealing with regulatory mechanism for the legal profession and other incidental issues, in consultation with all concerned. “In view of above, we request the Law Commission of India to go into all relevant aspects relating to regulation of legal profession in consultation with all concerned at an early date. We hope the Government of India will consider taking further appropriate steps in the light of report of the Law Commission within six months thereafter. The Central Government may file an appropriate affidavit in this regard within one month after expiry of one year”. In furtherance of the directions the Law Commission seems to have decided to entirely review the Act by putting a public notice on the website of the Law Commission of India on 22.07.2016. Thereafter on 03.08.2016, the Law Commission of India wrote a letter to the Bar Council of India requesting interalia the Bar Council of India to send their suggestions for amending the Advocates Act, 1961. On 04.08.2016, the Law Commission addressed emails to the Registrar Generals of all High Courts and all State Bar Councils about their intention to review the Act, and the Law Commission also invited comments/objections/suggestions from all the addressees. From the perusal of the report of the Law Commission it does not emerge as to how many sittings of the Law Commission were held for discussing the suggestions/comments/objections with regard to the review of the provisions of the Advocates Act, 1961. On 10.03.2017, Bar Council of India responded to the Law Commission of India and categorically communicated that their Internal Advisory Committee had prepared a draft Amendment Bill. However, on certain aspects the Advisory Committee needed more pondering and further meetings for finalizing the draft amendment bill. The Bar Council of India, in this letter specifically requested the Law Commission to bear with the situation for the time being. On 23.03.2017, the Law Commission intentionally or unintentionally took into consideration the yet-to-be completed draft amendment bill prepared by the Internal Advisory Committee of the Bar Council of India and treating the same draft amendment bill to be final comments and suggestions of the Bar Council of India, the Law Commission of India prepared a report being Report No: 266 and sent it to Ministry of Law for further actions. Petitioner submitted that the entire amendment bill has been compiled and prepared by Law Commission without giving a proper opportunity to the very stakeholders for whose “benefit” the bill was drafted in the first place. It is also submitted that the Law Commission of India has prepared the proposed amendment bill in an undue haste which may be detrimental to the future of our legal fraternity as the livelihoods of many depend on fair rules and the sound working of the judiciary and more importantly, any haste in this matter may also directly detriment the growth of our country which presently enjoys a strong legal backbone to protect the interests of its citizens. the Advisory Committee of the Bar Council of India is the internal committee only who was entrusted the task of making suggestions only and thereafter, the suggestions of “The Advisory Committee were required to be put up before the Bar Council of India for its final approval. The suggestions can be looked into or acted upon by the Law Commission only upon the approval of the suggestions of the Advisory Committee by the Bar Council of India. Unfortunately, in this case this has not happened and the draft a suggestion of the Advisory Committee has been treated by the Law Commission of India to be the final suggestions of the Bar Council of India even after intimation with respect to the draft nature of such suggestions by the Advisory Committee”. c) Whether monitoring in form of a direction by this Hon’ble Court requiring a reply to be filed by the Government of India in pursuance to the report of the Law Commission amounts to issuing a mandamus to enact a law? d) Whether or not the report of the Law Commission of India which has been compiled with incomplete inputs from the Advisory Committee and without the requisite circulation in the legal fraternity be granted unfettered valid legal status? (In the present case Bar Associations of the High Courts, District and Taluka and Advocates Generals of all High Courts and lawyers generally have not been consulted and the publicity in the form the public notice in the national and regional newspapers has not been given).